Life changes abruptly for teen-aged Travis Whiting when he’s arrested while attending a protest march in Chicago in the run-up to the Iraq War. Sentenced to work a summer of Saturdays at the sprawling estate of Mr. Gudon, a wealthy Wisconsin widower, Travis’ once-sleepy world is shaken as he forms an unlikely friendship with the callous old recluse. As the summer progresses, Mr. Gudon shares stories of his experiences in Thailand during World War Two which involve marrying a nurse who cared for a wounded fellow soldier in war-torn Bangkok. Weekly conversations bring to life an exotic and other-worldly Thailand, but the old veteran’s stories yield an equal amount of mystery. Why did the wealthy and handsome Mr. Gudon turn recluse and what happened to his injured friend? Travis meets Lance, a Native American trespassing on Mr. Gudon’s estate as he completes a vision quest near ancient, hidden Indian mounds. Lance has a disturbing dream about Mr. Gudon, but Travis, having come to see the old man as lonely and kind, dismisses his warning. When Travis begins working with his mother at a nearby organic farm, he meets the quirky and attractive Clare Simmons, but doesn’t trust her. As summer’s heat fades into the coolness of fall, Travis finds a letter in Mr. Gudon’s memento and gun-filled study that reveals a secret that has remained hidden since World War Two. The discovery sets off a series of events, finally uniting Clare and Travis, but also triggering tragic outcomes. 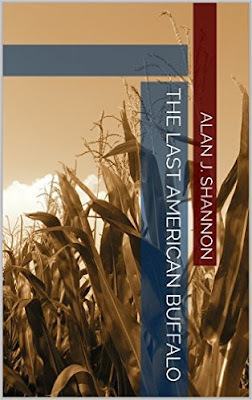 Set in the rolling green farmland of southern Wisconsin during the early 2000’s, The Last American Buffalo reveals the power of love, secrets and denial. You can purchase The Last American Buffalo on Amazon here. .